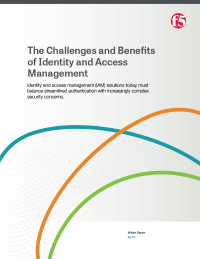 This white paper looks at the state of IAM today, the complex challenges enterprises face and their solutions. Learn the benefits IAM brings to your organization today. The need for a robust identity and access management (IAM) strategy—to boost employee productivity and overall enterprise security—has become an integral part of enterprise IT. But cloud computing and an increasingly distributed mobile workforce make IAM more complex every day. When adopting or changing IAM strategies, it’s important to consider that the landscape has become increasingly complex and continues to evolve with new security threats and challenges for both users and administrators.